Sugar cane workers in south of Iran, with their determination, unity, and resilience have inspired many and mobilised society to support struggling workers and to fight for their rights against the regime. 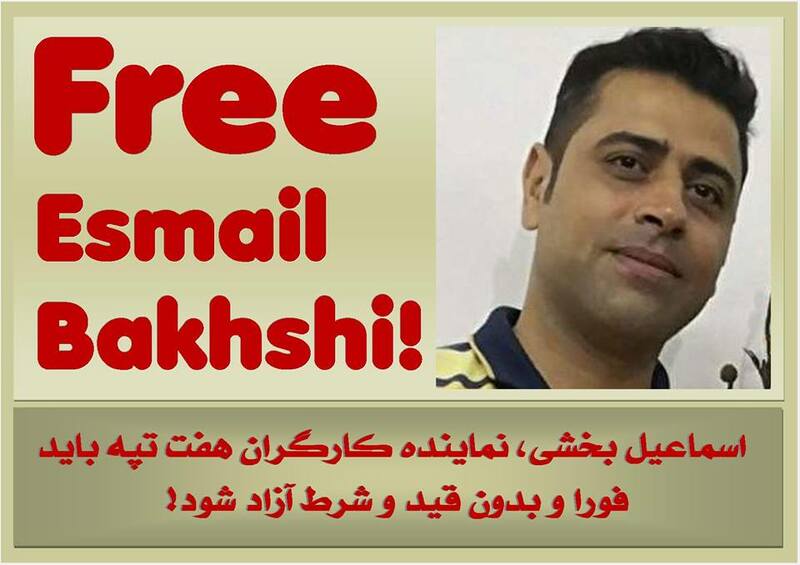 The elected representative and leader of workers’ council of sugar cane workers of Haft Tapeh, Ismail Bakhshi, who has had a key role in uniting, organising and leading the workers was arrested on 18th November 2018. He was admitted to hospital on 29th November after being subjected to brutal torture in custody. He is being tortured to accept delusive accusations by the authorities who try to sentence him for the bogus “national security” case. The sugar cane workers of Haft Tapeh have been on strike for four weeks over their unpaid wages, harsh working conditions, demands to expel embezzlers who have been exposed by the workers, and running of the corporation under supervision of the workers’ council. Islamic Republic of Iran aims to push back dissident workers and the people by arrests and torture of workers’ leaders and activists. The regime must feel the pressure of international humane solidarity! The inspiring workers who fight for justice and against oppression have brought hope for a better future to many, they must know that they are not alone.